It's been a while since I wrote something here, The summer has been in the way, so to say, plus a lot of other things. 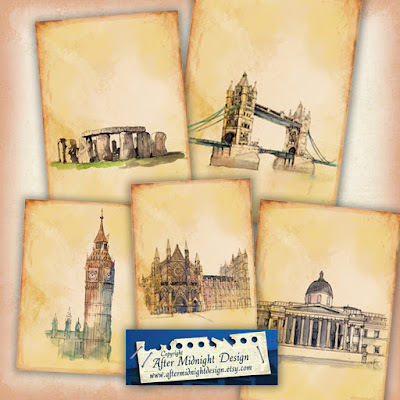 But today I have some beautiful tags/cards with British landmarks in an vintage style. This would be perfect for your scrapbook with holiday photos from England! Click here or on the picture to go to the shop! You can read about my designs here and what's happening in my shop. Now and them you can also get a freebie.